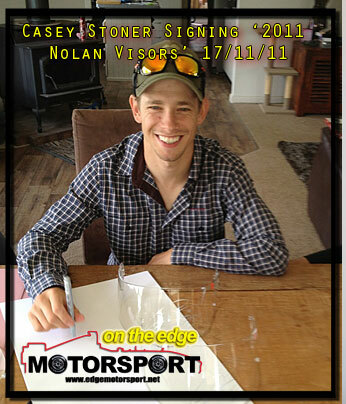 On The Edge Motorsport has been selling authentic memorabilia since the late 90's all around the world. We aim to provide rare products at an affordable price. 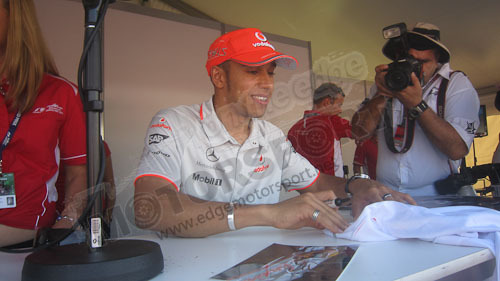 All of our items are sourced directly from people within Formula 1 teams or through signings where are are able to obtain photos from the signing. 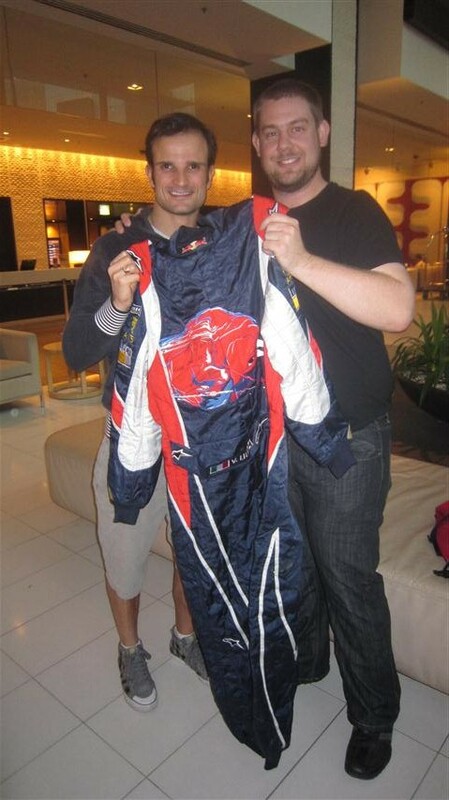 We have a large network of contacts throughout Formula 1 that allows us to source items from signed photographs to used drivers helmets and overalls. 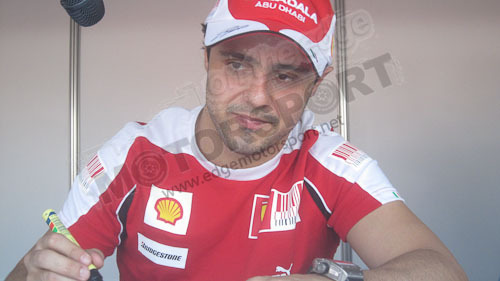 As you can imagine, to get items like this we have very solid contacts. 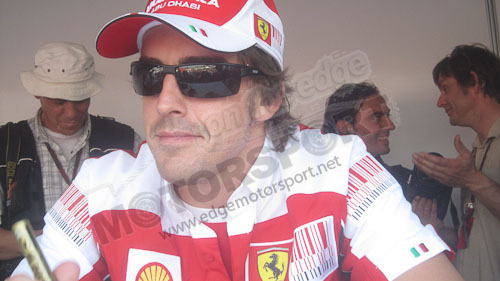 We have been official supplier to the Australian Grand Prix for several years, selling items through on-site marquees. 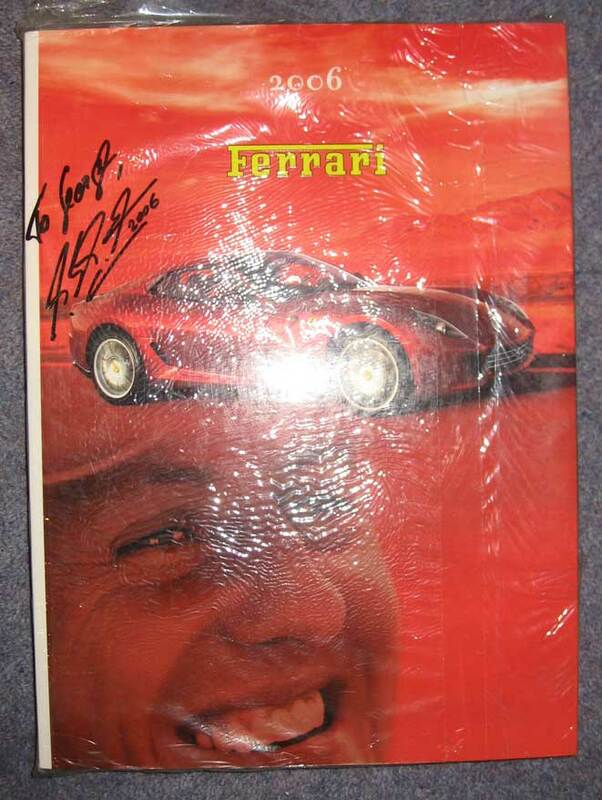 Where possible we provide a photo of the driver signing items or a letter from their management, such as we can supply with some of our Michael Schumacher items. All of our products are backed by a 100% money back guarantee** based on the authenticity of our items. 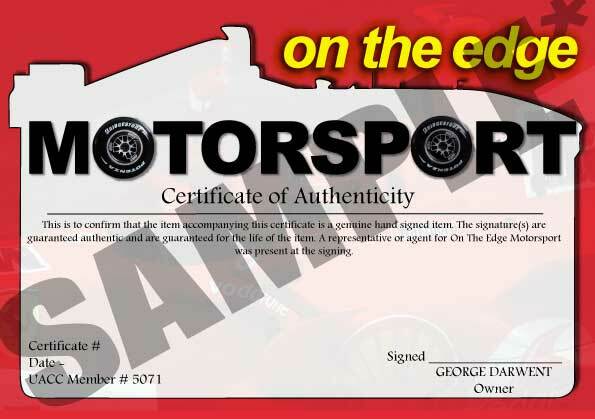 We supply a certificate of authenticity with all of our items stating this. Please see below. 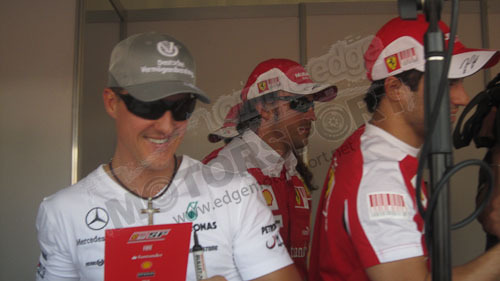 Below are photo of drivers including Michael Schumacher, Felipe Massa, Fernando Alonso, Lewis Hamilton and Tonio Liuzzi signing items for us. 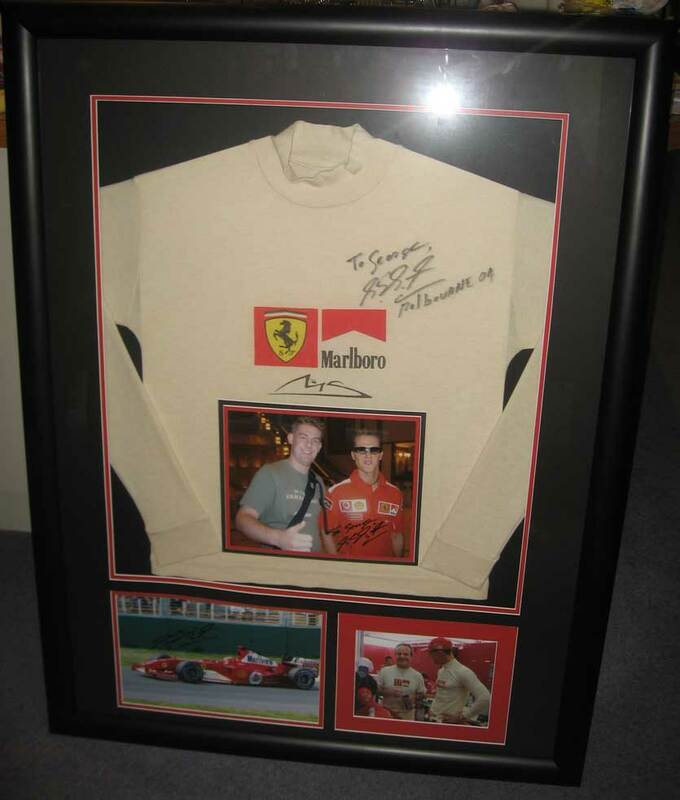 As you can see from some of my personal items below - we have a long history of selling authentic memorabilia. We supply a number of retail outlets in Australia as well as supplying products for sale at the site of the Australian Grand Prix. We have customers worldwide - if you have any further concerns please don't hesitate to contact us and also see our About Us page for more pictures and information.